Somebody asked me about the difference between the Small Biz Thoughts Community and the ASCII Group. I had to smile. I've been an ASCII member and advocate for a LOOOONG time. I joined ASCII originally for one of their primary benefits: A massive vendor discount. I was looking to buy some RMM licenses back in the day when the vendor insisted on selling 100, or 1,000, or 10,000 at a time. They said, "If you're an ASCII member, we can save you about 20%." Gulp. I saved enough on licenses to pay for my ASCII membership for a few years! ASCII excels at helping members build relationships with vendors - distributors, suppliers, and manufacturers. You have a problem with a warranty? They go to bat for you. You want to start buying at the Silver level with your first unit? They can make that happen. ASCII also has great discounts on insurance, and great assistance programs with things like their 50-state tax information program. They also have programs to get made-for-you and white label marketing.
. . . and we don't do any of that. Our focus is on a more vendor-agnostic community. We are all about training, best practices, SOPs (standard operating procedures), checklists, books, and helping you with the business side of the business. I designed it this way for a very simple reason: ASCII does a GREAT job with the things they focus on! There's already an ASCII. So why create another one? You can't fill a void by creating something that already exists. Besides, I have been working for YEARS to put together my content. For example, my 18th book will be out in September. It will be about how to publish you non-fiction book. I co-authored it with Stephanie Chandler from the Nonfiction Authors Association. That book will be 100% FREE to members of that Small Biz Thoughts Community. 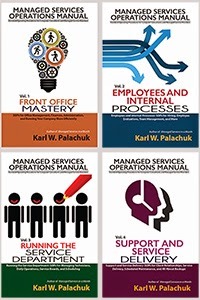 With luck, I'll get another book out specifically for MSPs by the end of January. That will also be 100% free to members of the Small Biz Thoughts Community. Every week we're adding more programs, more content, more downloads. 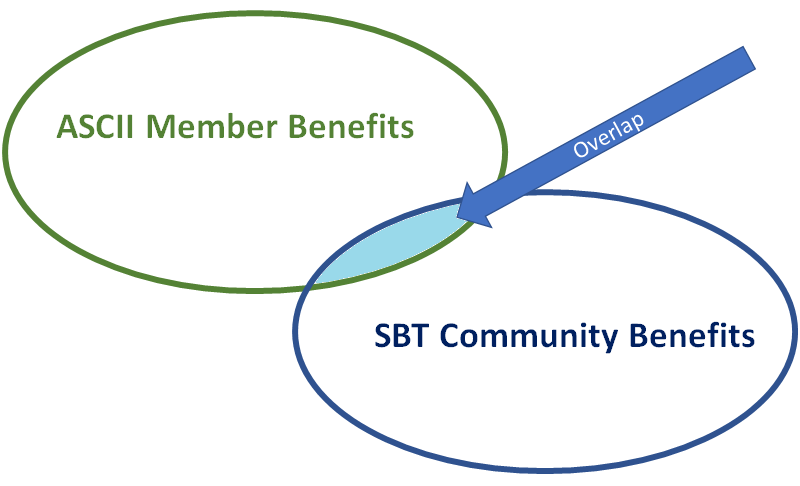 After you watch that, decide whether you want to join ASCII first or the SBT Community first. But in the end, it's probably best to join both. Just my opinion. Check out the Small Biz Thoughts Community at www.SmallBizThoughts.com. Exactly what will I get if I join the Small Biz Thoughts Community today? 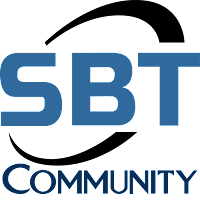 Note: Community is at https://www.smallbizthoughts.org - Join today! And we're adding more stuff all the time. That's just what we've posted so far! More and more and more will be added all the time. Just because you're in business for yourself doesn't mean you have to go it alone! So I go together with some of my fellow coaches . . . and we decided to put on an amazing event that only we can do. Yes, we all put on our own events. And we all speak at conferences. But this is an event that could only be produced by the five of us each giving our best information. Price is only $199 per person. Plan for a great year-end and an amazing 2019 by attending the IT CEO Success Summit! Sacramento, CA – August 27, 2018. Five leading business IT coaches have combined their talents to put on a major first-ever IT CEO Summit in Baltimore December 7th. Coaches James Kernan, Karl Palachuk, Manuel Palachuk, Dave Seibert, and Erick Simpson, announced today that they will be holding a major one-day conference this Fall, focused entirely on providing top-level information that IT professionals can implement immediately. 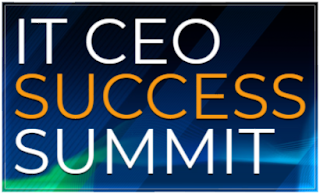 Each track in the IT CEO Success Summit will be packed with information. 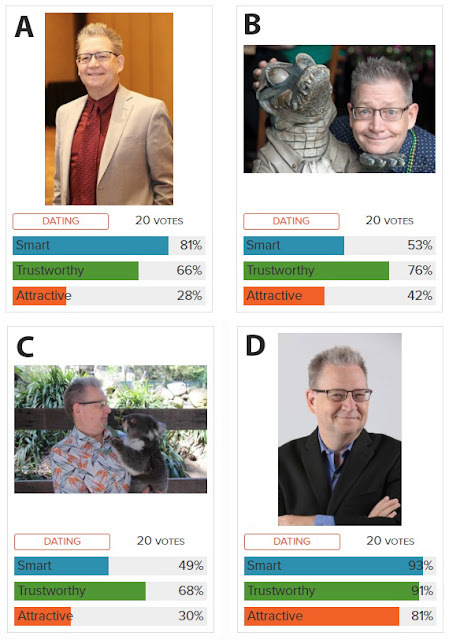 Each could be a separate one-day conference. That means one person won’t be able to attend everything. And that’s where bringing additional staff is key. The IT CEO Success Summit is scheduled one day only – December 7, 2018 in Baltimore, MD. The cost is only $199 per person. A limited number of vendor sponsorships are available. For more information, visit www.itceosuccesssummit.com. The IT CEO Success Summit is a collaboration of coaches James Kernan, Karl Palachuk, Manuel Palachuk, Dave Seibert, and Erick Simpson. For questions, please email support@itceosuccesssummit.com. This special event is co-sponsored by ChannelPro SMB Forum. 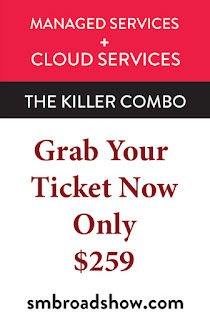 Registration includes a free pass to the ChannelPro SMB Forum. Business relies on LinkedIn. Not only should you be there, but you should be getting the most out of your presence. Starts Thursday August 16th. 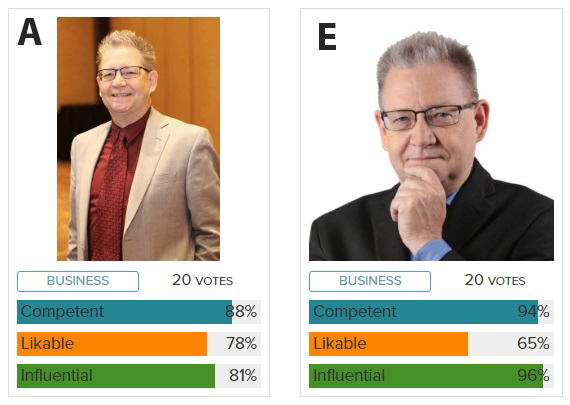 I am offering a three-part mini-class on tuning up your LinkedIn profile. This course is exclusively available to members of the Small Biz Thoughts Community. In addition to improving your online presence and marketing, this course also has a "contest" built in. Everyone who attends will commit to updating their profile and improving their social media presence. Then each attendee will grade the others' profiles. The winner will receive a great marketing prize: A six-foot pop-up banner to use when you hold local events, speak to the Chamber, etc. The mini-class will meet three times. Each meeting will be about 30-60 minutes. I'll give a little information, do a demo, and then open the floor for a general discussion (and potentially a show and tell). In this Thursday's class, I'm going to show you how to spot fake profiles. This is the process my administrative assistants use to determine whether to accept connection requests. Here's the juicy goodness: Make sure YOUR profile doesn't look fake! 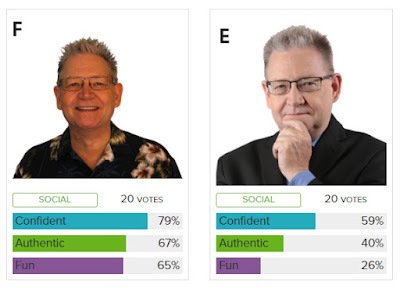 Make your profile robust and professional. Make it a business tool! 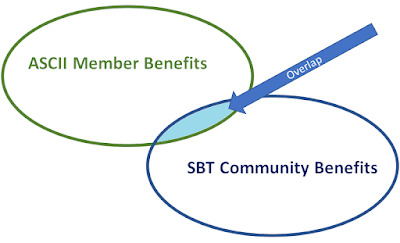 You must be a member in good standing of the Small Biz Thoughts Community (only $99/month). Go to the "Classes" section and click on the Mini-Class: LinkedIn graphic to begin registration. 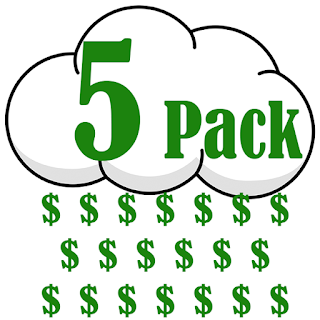 My very popular 5-week course on the Core SOPs for Small IT Providers start September 11th. This live course includes lots of handouts and supplemental materials, time for Q&A, and office hours if you need it. A great deal at $259. This course starts Tuesday September 11. 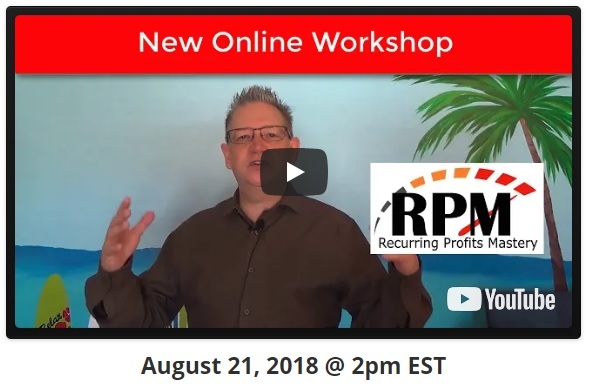 Now here's the real news: Members of the Small Biz Thoughts Community (only $99/month) can attend this class for FREE. Limited to the first 30 members who sign up. So don't delay. If you're a community member, browse to the Classes section to get the free code. If you're not a community member Join Today so you can attend this class free! 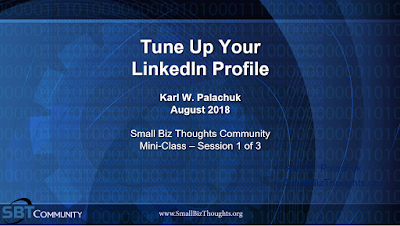 We also have a free 3-part mini course on Tuning Up Your LinkedIn Profile. Monthly mini courses are always free to community members. Have You Tried Meetup for Your Business? 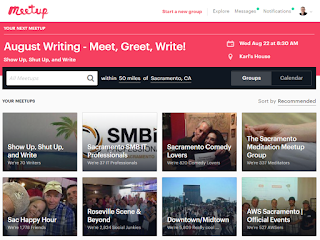 In case you haven't checked it out, hop over to Meetup.com and look around. I belong to several Meetup groups. In fact, it's my favorite "local" networking group. I am also the organizer for several Meetups. And, most recently, I created one for local Sacramento SMB IT Professionals. Our local group started out as a "Small Business Server" user group, as did so many local IT consulting groups back in the day. Bob Nitrio tells me we started the group in 2004. Bob and I have co-organized the group since day one. I was president and mostly ran the group until I sold my first managed service business. Then Bob became president and ran it until just recently. Bob is moving to Phoenix so all of his family can live close to each other. Good for him, but sad for me. Anyway, with all the changes over the last few years, I'm going to try to re-start and re-fresh this group. We had a list of about a hundred people who technically belonged to the old group. But, as with so many such groups, we tended to get the same five people at all meetings. So I started a new Meetup group. I added a picture and description. And then I wandered off to Comptia's ChannelCon. I figured I'd send an email and invite all the old folks to join the new group. In all, the Meetup group was up and open for business, but ignored for about ten days. When I checked in again, we had over 30 members - mostly complete strangers! Of course I was very pleased. Now I have to organize a meeting. It would be great to get them all together, along with the older members. At any rate, it's great to see the interest is still out there! We just need to make sure we provide value to the members so they'll show up. If you are looking for a tool to organize people locally, I highly recommend Meetup.com. 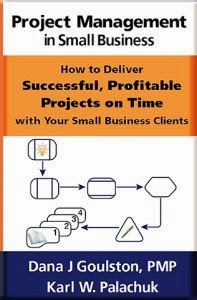 It is particularly powerful at making you look like an expert if you can appeal to your small business clients and you are the organizer/presenter. NOTE: We have held this training twice already in 2018 - and helped almost 100 IT professionals to become successful Cloud Service Providers already! I had a great time at ChannelCon. And please note for the record that IoT is now clearly a technology you should be paying attention to in our space. How do I know? Because IoTSSA was awarded the Best Start Up at the show. Washington, D.C. ‒ The IoT Security Services Association (IoTSSA) announced it has been voted the Best Start-Up by attendees of CompTIA ChannelCon, the annual industry tradeshow and collaboration event. CompTIA ChannelCon 2018 is the technology industry's premier annual education, networking and partnering event. The award for Best Start-Up is determined by attendees and presented at the conclusion of the trade show expo. IoTSSA is a community of IT Channel Partners connecting industry security experts and vendors with IT service providers. Through a combination of live and online events and resources, the organization delivers resources that help improve MSPs increase their cybersecurity knowledge, expertise, and revenue opportunities. The Computing Technology Industry Association (CompTIA) is a leading voice and advocate for the $4.8 trillion global information technology ecosystem; and the more than 35 million industry and tech professionals who design, implement, manage, and safeguard the technology that powers the world's economy. Through education, training, certifications, advocacy, philanthropy, and market research, CompTIA is the hub for advancing the tech industry and its workforce. Visit www.comptia.org to learn more. I'm a little embarrassed to say that I subscribed to a new tool around the first of the year . . . and completely ignored it until last week. I knew it was super cool, and I knew I wanted to use it, but I was just too busy to dig into it. Luckily, I dropped a shortcut on my desktop. I literally have ZERO icons on my desktop except the recycle bin. But for the last eight months I've had this one icon staring me in the face and reminding me that I already paid for it, so I should learn it. Overall, I'm pretty happy with it. I was trying for 30 seconds. I think I got it to 35. But I wish it was 60 because I feel like the drawing is zipping around too much. So far, people I've asked say it's fine. But I suspect they're just being nice. Anyway, I'm trying to follow a story arch here. You have a problem. Things are changing fast. Clouds are everywhere. Technology is changing super fast. You have to be good at business as well as technology. And so forth. I particularly like her stuff because she actually shows how she makes an animated cartoons with this tool. AND she has some killer educational examples. So look around her channel. VideoScribe is pretty cheap - $144/year. There are a few minor annoyances, but I'm sure they will be improved soon. Also, there's a 7-day free trial available. So far, I love this tool.